I meant to get this post out a loot sooner as EMC world ended over 2 weeks ago. This year is my 3rd EMC World and it did not disappoint. The overall show theme was a superhero theme. From the Global League of Storage (pictured left) to Captain Scale-Out, every booth was very creative in their design and creativity. Outside of the solutions pavilion, the EMC Square was front and center when anyone entered there show floor. This area was HUGE and twice the size than had been described to me. Made up of the EMC TV booth, the back stage area, and the Blogger’s Space (which also contained the EMC Elect Space). The EMC Elect Space was a huge hit with the members. We were able to sit down and chat about all sorts of topics, including some special sessions on BRS as well as ViPR. 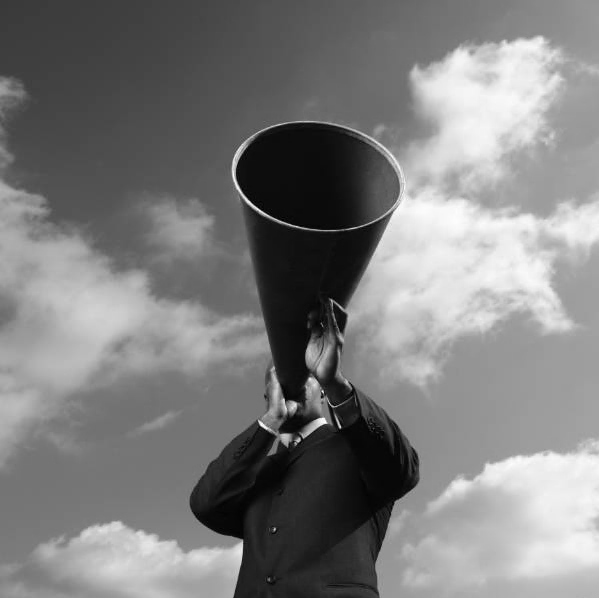 Speaking about ViPR, it was defiantly the big announcement at EMC World this year. If you are not familiar with ViPR, EMC’s Chuck Hollis has a great write up on the product announcement and where it fits in the industry. 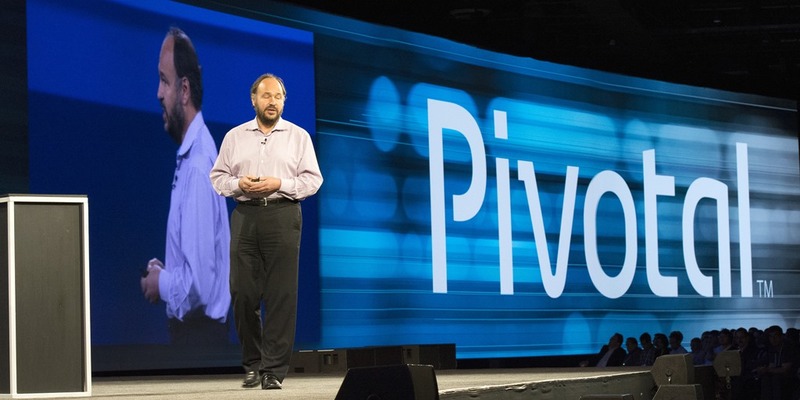 We also got a closer looked at Pivotal presented by Paul Maritz. 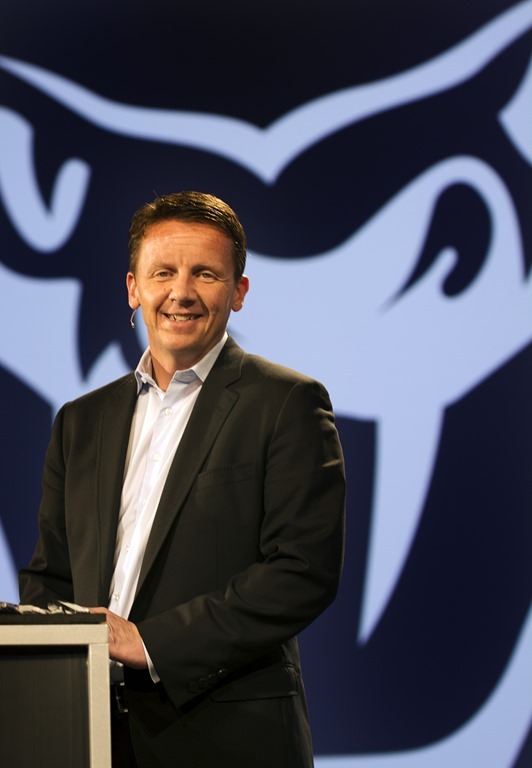 Overall, things are looking very good for EMC and I’m excited to see what the coming year brings for these announcements. What you might not of noticed during the general sessions and the keynotes was a new initiative we were trying this year called “Blueprints”. This idea was the brain child of fellow teammate Kari D’Elia and winner of an internal pitch contest called Shark Tank. Off in the corner, during each of the presentations, was a person transcribing what they see and here into a full page info graphic. These were defiantly a huge hit, and every time I walked by the finished product I would see people standing and taking pictures of them. 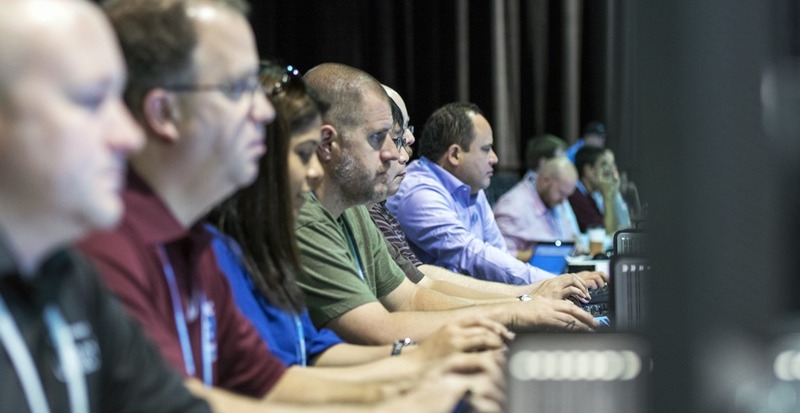 The other big winner of EMC World was the Hands-on Labs. This 200 person demo center was powered by EMC vLab (expect to hear more about this team in the coming months) and allowed attendees to try all the various products that EMC has to offer without the need for physical hardware. This place was always packed and seemed to be a huge hit with everyone who sat down for a lab. What show would be complete without a customer appreciation event? 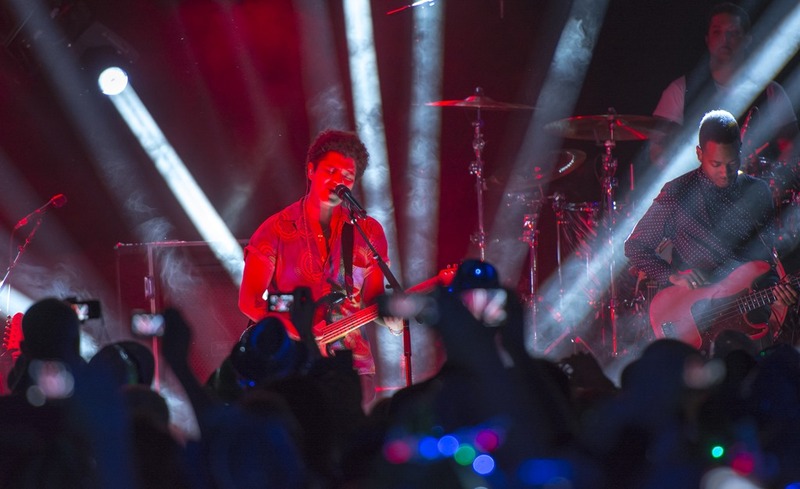 This year’s headliner was non other than music sensation Bruno Mars. Now I will be the first to admit, I’m not a huge fan of his music (probably because I’m not his target demographic), but he and the rest of the band put on a great show with several cover songs including some Nirvana and some Michael Jackson. My role during the majority of the show was to take photos for the social media team. By the numbers, I snapped off more than 1200 photos over the course of 4 days for a grand total of more than 30GB of images. I whittled that number down to 190 images that I have published to google here. I hope you enjoy them. 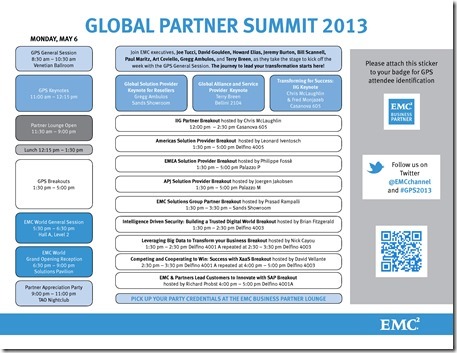 Are you going to the EMC Global Partner Summit? You should! 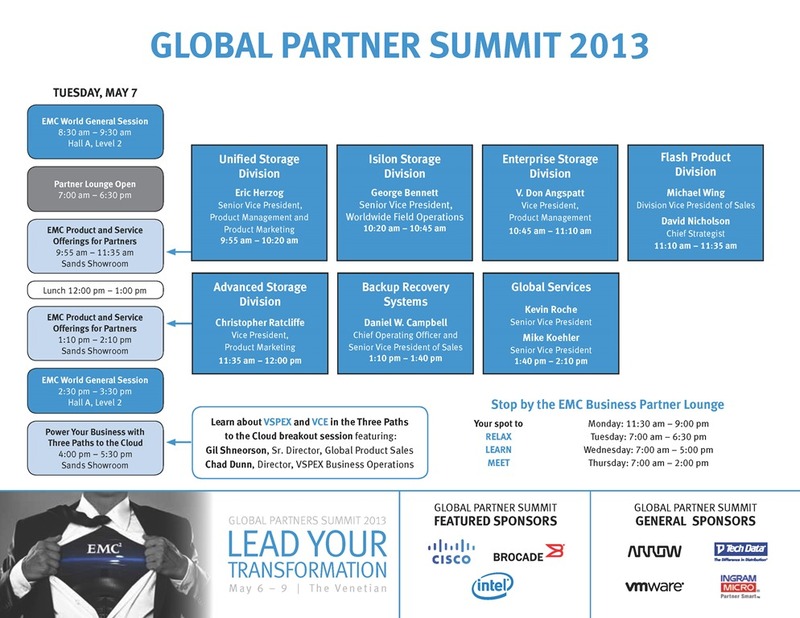 Calling all EMC Partners, are you attending EMC World this year? 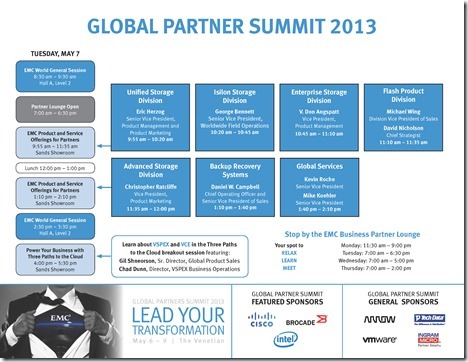 Make sure you start off by attending the Global Partner Summit going on concurrently with the show. It all starts Monday morning with a special general session just for GPS attendees. 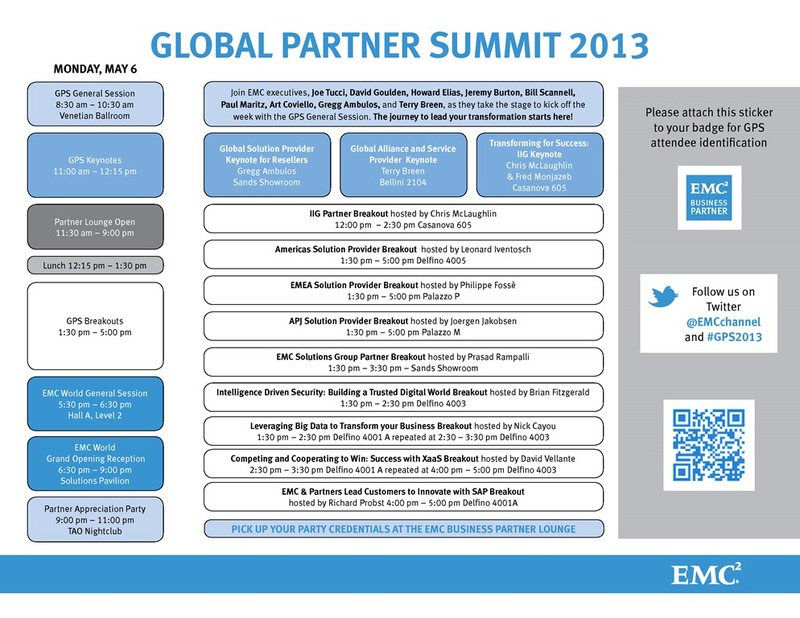 Here you will find out about all that EMC is offering to enable partners in 2013 and beyond with presentations by EMC’s executives. The general session is then followed by 3 keynotes for resellers, service providers, and IIG specialists. After lunch, partners will be offered a multitude of breakout sessions including regional solution provider sessions as well as informative deep dives on security, big data, and XaaS. After the EMC World general session and grand opening reception, there will be a partner appreciation party from 9pm – 11pm at the TAO Nightclub in the Venetian. Be sure to pick up your wrist band in the EMC Business Partner Lounge located on the show floor. Speaking of the Partner Lounge, they will be open the entire EMC World show hours on Monday – Thursday. I encourage you to stop by as they will have staff on site showing you how to register for and leverage the EMC Community Network. While you are there, be sure to enter their contest to win one of 3 $200 gift cards. Tuesday will be another filled day. After the EMC World General Session, there will be additional product specific break out sessions. In the morning, you can sit in on presentations from USD, ESD, ASD, Isilon, and Flash while the afternoon will have presentations from BRS and Global Services (my former organization at EMC). Capping off day 2 is a final presentation by VSPEX and VCE. Be sure to follow @EMCchannel on twitter for updates throughout the show! 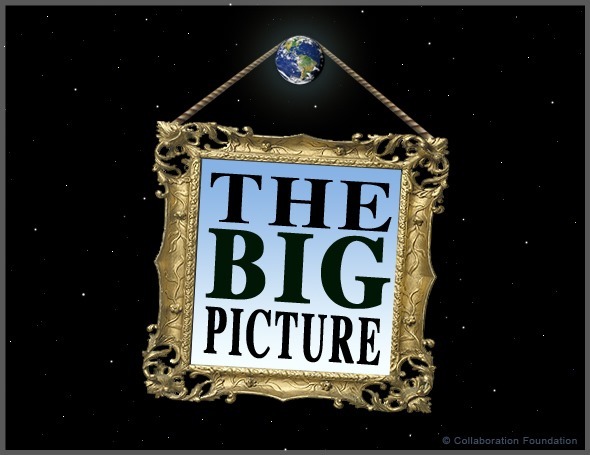 If you are attending GPS2013, let me know what you think in the comments below. In just one weeks time, 15,000+ people will descend on Las Vegas and the Sands Convention Center for EMC World 2013. While I can’t wait for the show to start, I wanted to highlight a few things that you may not know about, but will definitely make your show experience so much better. Front and center during this year’s show is the EMC Square. This mecca to all things social (and it may or may not be a perfect square) will house EMC TV, Silicon Angle, the EMC Backstage (more on this later) and the all new Blogger’s Space. The Blogger’s Space (formally the Blogger’s Lounge) will be where bloggers such as myself can meet to talk, share ideas on the white boards, relay screens to watch keynotes, and of course internet access to blog. Inside the Blogger’s Space is a special area for EMC Elect members. Elect members will have their own area to converse and I’m also told there will be special Elect ONLY blogger briefings during the show. 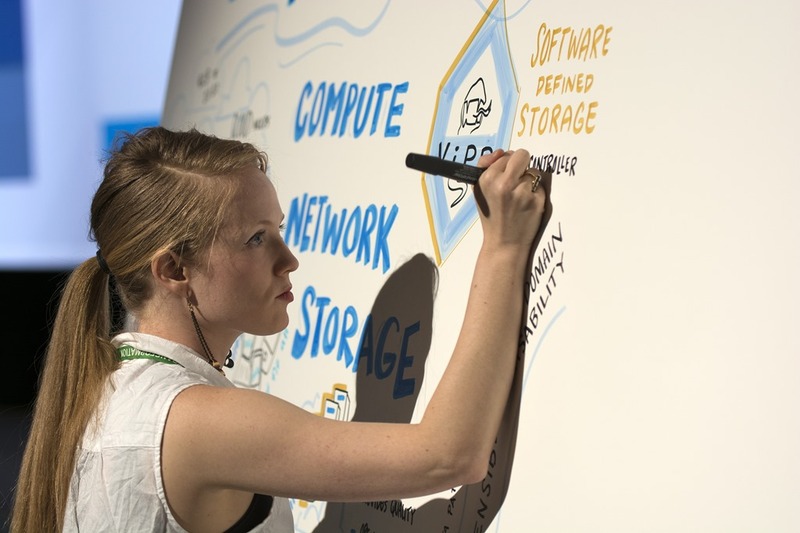 If you are a blogger and you are attending EMC World, make sure you register here. I will be spending most of my time here and at the ECN booth, so be sure to stop by and say hello. This year the social media team will unveil an all new Buzz Board. 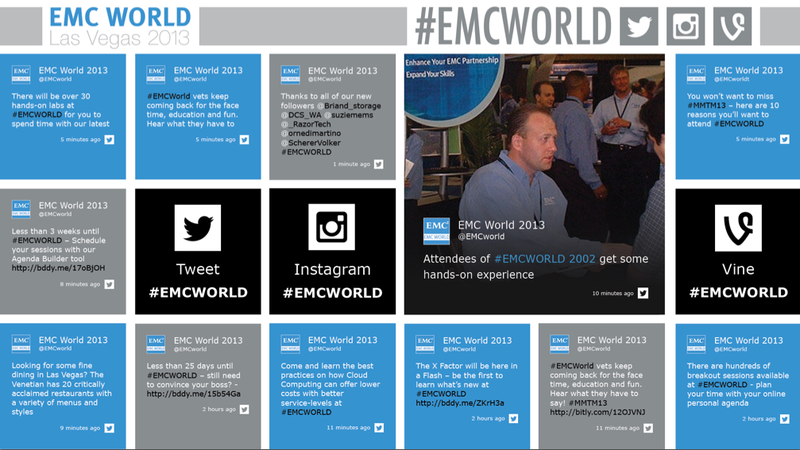 This new interactive display will pull in tweets, Facebook posts, pictures, videos, and more about EMC World. Simply tag things with #EMCWorld and watch them populate in near real time. Last year we had Buzz Sessions, Quick 10 – 15 minutes sessions highlighting a multitude of topics (including one staring yours truly). This year we decided to slow things down a bit and introduce EMC Backstage. After every keynote, we’ve invited the speakers to come sit and answer questions. If there was something you wanted to know more about during the keynote, now is your chance. Simply tweet your question with the #EMCBackStage hashtag and the moderator may ask it during the session. I know my friend Craig “Chappy” Chapman was looking for good music this year, so I can’t wait to hear the final playlist. The Hands-on Labs tend to fill up fast, so your best time to participate is first thing in the morning. There should be little to no wait then. With everything that goes on during the day at EMC World, what are you going to do at night? Well on Wednesday is the customer appreciation event. Just like last year, there will be another big name performer. Guest passes are already sold out, so I hope you got one if you were going to bring a friend. But what are you going to do the other few nights? That is where we have you covered. On ECN you can find a list of all the official and unofficial meetups going on during the week. There will be a party on Tuesday night in the Zebra Lounge for ECN Members. This party requires a wrist band, so be sure to see me to get one. I haven’t figure out how I’m going to award them, but I’m always wanting to meet readers of my blog. My time at EMC world will be split between taking photos (be sure to follow me on twitter as well as @EMCCorp to see them) and booth duty. On Monday you’ll find me at the ECN Station for most of the evening. Tuesday and Wednesday mornings will be spent at the Elect Lounge. I will be taking photos of all the keynotes (I believe another team mate will be taking photos of the general sessions). Outside of that I’ll be at various meetups and events. If you want to meet up, just tweet me and I’ll tell you where I’m at! By now I’m sure most (if not all) of you have heard about the tragic events that occurred during yesterday’s running of the Boston Marathon. Like most of the world, I learned of the news through social media. My twitter timeline was flooding so fast I could not keep up. Within seconds, the world was updated with news of the explosion, 140 characters at a time. And as the news spread, others began to chime in. While some were quick to point fingers and call it a “terrorist attack”, the most impactful messages were those of prayer, hope, and help and they seemed to outnumber the calls for hate and retaliation by 1000:1. One of the biggest advantages of living in this digital age was how quickly we were able to check on those we love and care about. My employer (EMC) was a large sponsor of the race. Not only did we have people covering the race, but we also had coworkers running in it. It was the power of twitter and my network of friends that let me know that everyone was safe and accounted for. For those who were running in the race who we could not reach, technology provided us with a glimmer of hope in the form of tracking the racers bibs. My friend Matt Brender put out a message of hope directing people to check on racers they know and see where they last checked in. The link and message he shared was picked up by many and is a perfect example of how the online community can come together to help one and other. With facts, rumors, and educated guesses flying around, all the news agencies were quick to get the story out, and not all of them got it right. What surprised me the most was that the most credible news updates came from the hacker collective Anonymous. They were quick to put out the message of ongoing activity, numbers to call, and facts (instead of conjecture) as they unfolded. As the sun started to set and the dust began to settle, the messages switched to that of hope. A Google doc was created full of people around the area willing to help shelter anyone that had been displaced by the days events. People were willing to open up their homes in a showing of solidarity. If anything, yesterday made the city of Boston and the nation stronger and why I believe this was our finest hour. 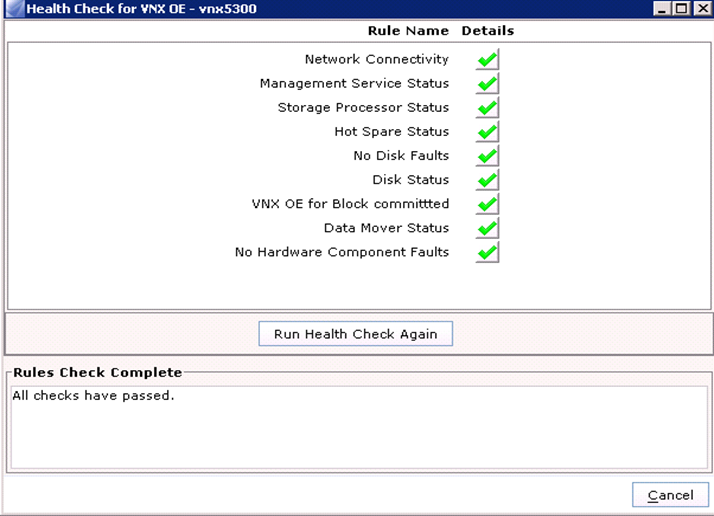 My VCP5 experience and a Workstation 9 giveaway! 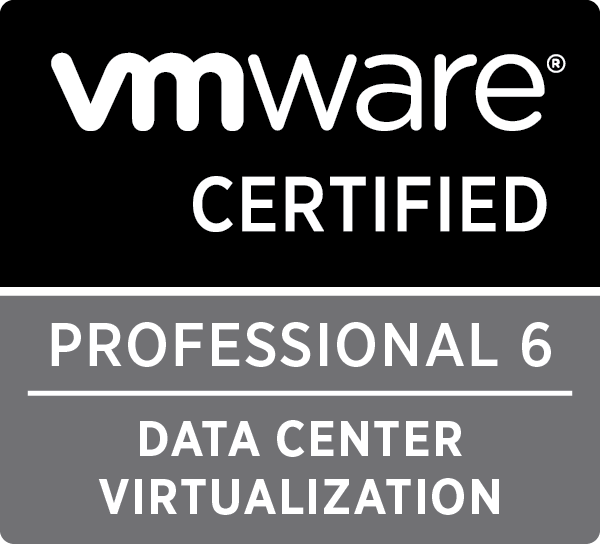 For those of you who follow me on Twitter or Google+, you may have noticed that I recently passed my VCP5. This exam was a long time in the making, but every time I would go to take it, something would come up. Originally, I was scheduled to start the new year with my VCP5 exam, but a last minute trip to Seattle forced me to reschedule my exam for February. When I rescheduled my exam for February, I had no idea I would be starting my new job, but as luck would have it, I scheduled it for the same week. So once again, I rescheduled for March. Hopefully this explains why I had been so quiet with my blog lately as I had spent a lot of my available time leading up to the exam studying. Even though I switched into a marketing role, I’m still keeping my technical side. I committed to passing this exam and even made it part of my goals with EMC. I also reviewed the study guide and exam prep questions put together by Mike Preston. This guide is very comprehensive and full of great information. Simon Long also has practice exam questions on the VCP5 as well and was one of my primary resources when studying for my VCP4. The final resource I used in my preparation was the recordings of the vBrownBag. 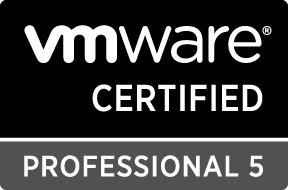 They went through every section of the VCP5 exam blueprint and is great to listen to. I only wish that they did it again so that I could have asked my questions live. Leave a comment here telling me something about your VCP5 exam experience (or study plans if you haven’t taken the exam). A helpful tip, a gotcha, anything will do and there is no wrong answer here! The winner will be selected at random and you will earn an extra entry if you tweet about this blog post and mention my twitter handle in the tweet. I’m going to to do this quick, so the contest will close at 12:01 AM Eastern on April 1st, 2013 and I will contact the winner shortly after that. 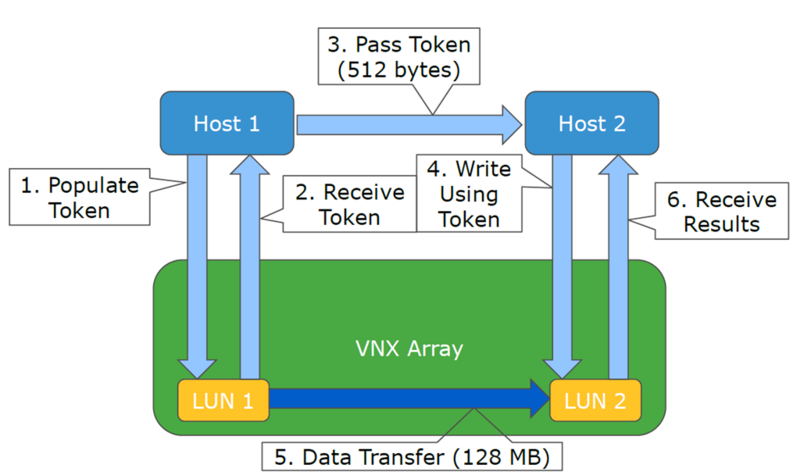 With a new year, comes a HUGE update to the VNX family. As Chad Sakac reveled earlier in the year, INYO was the code name for the VNX FILE OE 7.1 and BLOCK OE 05.32 code release that surfaced last year. Now, the time has come for a major update to the code, and with it some exciting new features. On the FILE side, the biggest (and what I think is the most exciting) feature coming is support for SMB 3.0 and the VNX is the first array to support this. Back in October of 2012, Microsoft released it’s latest versions of the Windows Operating system (Windows 8 and Server 2012). With that came the latest enhancements to the SMB protocol (for more information, click here to read a great blog post by Microsoft). With this upgrade (and the use of the SMB 3.0 protocol) you get a much less disruptive failover which includes keeping the open state of a file and file lock. You will also notice enhanced throughput by being able to take advantage of the Multi Path IO over SMB 3.0 without the need to configure LACP or EtherChannel. A couple of things to note. This does require an enabler, but you do not need to reboot the SP for that. You will have to reboot the host for that (it’s a limitation of Microsoft, not EMC). You will have to use Microsoft MPIO or the latest versions of PowerPath as well as an NTFS file system (with an allocation size of 8k or larger for better performance). 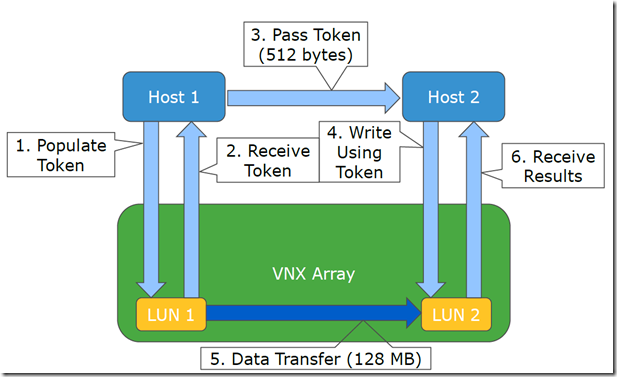 Also included with this release was several enhancements revolving around VAAI support on the VNX. Most this included the XCOPY fix as described in solution emc313487 as well as a big performance improvement to VAAI Fastclones. Chad has more on that subject here. Finally, there was also another enhancement that I wish I had when I was in tech support. Starting with the new version of Unisphere Service Manager (1.2.26.1.0068) you will now find a 1-click health check available after the main login. 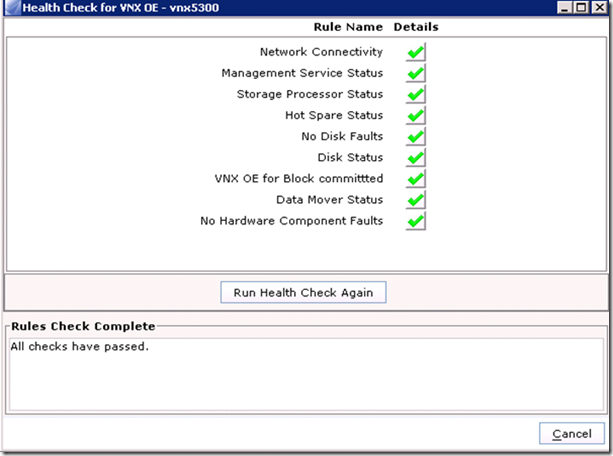 You may remember a previous blog post I did on how to run health checks on the VNX. Now you can run a single check to verify the health of your array (BLOCK, FILE, or Unified). Just click the health check link on the right hand side. I have attached a screen shot below to show what the output of a healthy array looks like. So what are you waiting for? Get out there and enjoy these new enhancements. Remember, you don’t have to wait for EMC to upgrade your array, you can do it yourself using USM. Recently I celebrated my 3 year mark with working at EMC. In that time I went through the GSAP program (more info on my blog post of my 2 year anniversary), assisted customers in USD tech support, and most recently helped cultivate a proactive social support model for our team. Over that time, I’ve only had to change desks once but changed managers 9 times. Well I am proud to announce that as of Monday, February 11th, 2013, I will be changing desks and managers again. I have accepted an opportunity to join EMC’s Social Media Marketing team! This is the same great team that my friend Matt Brender joined a year ago and I am extremely excited to be working together again at EMC. I’m not exactly sure what the future will hold with this job, and that is what attracted me to it. I have been working with the team ad-hoc style for the past year already participating in brainstorming sessions for R.A.M.P and EMC Elect. I can only imagine what projects and ideas will come in 2013 as a good amount of this job will be brainstorming and creating them. While I am moving away from being dedicated to VNX, I plan to still stay heavily involved with the storage and virtualization communities and blog about new and exciting technologies as well as things I interact with as part of my new role. First, I want to apologize for only having 1 blog post in January. In an earlier blog post, I stated that I was kicking off 2013 with a trip to Seattle, WA. 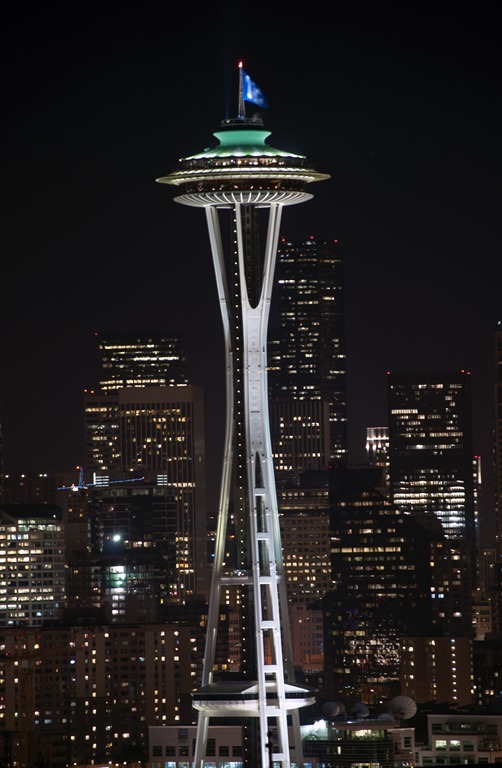 Seattle is home to the headquarters of Isilon, one of EMC’s more recent acquisitions. While the initial purchase and sale went through a while ago, it was only recently that the installation, sales contracts, and support system was converted over to what EMC has been using for years. For 2 and a half weeks, I went on site to help the Isilon Remote Support staff understand the inner workings of the new ticket system known as “Service Center” and how it related to their existing system based on SalesForce. Decisions were made as to what would be converted over and what wouldn’t be. The existing SalesForce database would still be available to support, but in a read only instance. This would be because only cases that were still open on Saturday January 12th were going to be converted over. Older closed cases would still remain in the old system for reference, and new cases would be created in EMC’s system only. I’ve been in support long enough to know that not every migration goes according to plan. As far as this one went, there weren’t too many major issues. The minor ones were remedied quickly and it seems like everything is finished. Existing EMC customers should be familiar with the online support interface. Your Isilon arrays would show up under existing sites if the address on file matched, otherwise you may need to search for new site IDs to follow. The culture over at Isilon is still very much like a startup and I loved it. Moral is high and it seams people really enjoy their job and care about the customers they help. 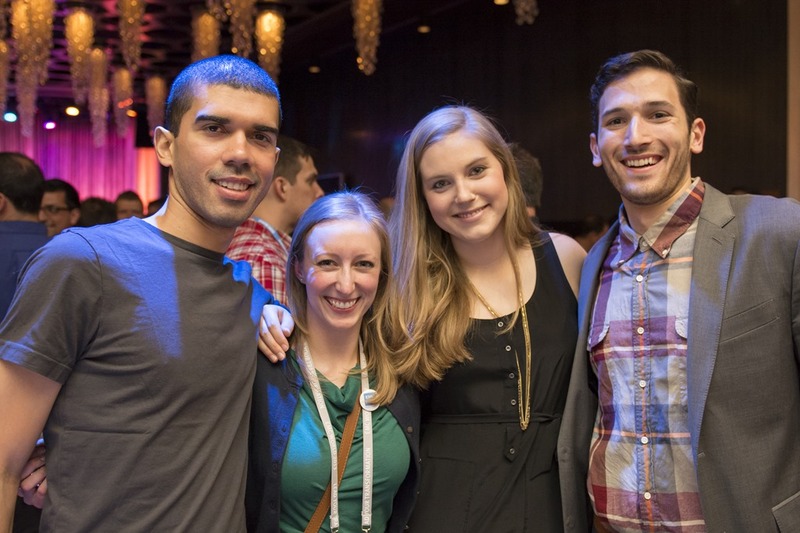 It’s no surprise that it was voted one of the best places to work in Seattle. With any major change to a business process, it is going to take some time for those involved to get used to it. It seems like everyone was able to adjust quickly and by the end of my stay, the support engineers seemed well adjusted to the new system and processes. All in all I think the conversion was a huge success and I hope you will join me in welcoming the Isilon Remote Support team to EMC. On a side note: I had some free time to see the sights of Seattle. I posted a large collection of photos from my trip (broken down by day) and I hope you enjoy them. 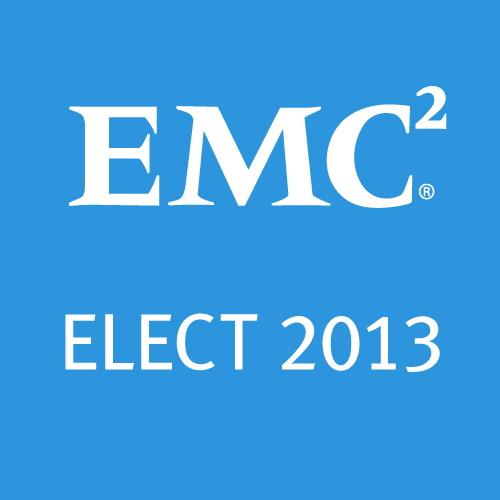 EMC Elect 2013 – Thank you! Around 2 months ago I wrote about EMC Elect. 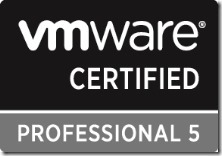 This new recognition program is similar to Microsoft MVP and VMware vExpert. When I wrote about the subject initially, I had just received word that I was nominated from a reader. Fast forward to now, and I received word that I have been accepted as one of the 75 EMC Elect 2013. I want to thank everyone who reads my blog, talks with me on twitter, or interacts with me on ECN or in person. I am honored that you find my posts and insight so great and I want to keep that going through 2013 and beyond. I ask that everyone please join me in congratulating the other members of EMC Elect 2013. We have an amazing group of individuals this year and every one of them deserves this recognition. Again, thank you all for making this happen and look forward to more great EMC posts! I find myself on this new years eve (after digging out from 10 inches of snow) reflecting back on all that has happened this year. Checking in with the old Google analytics website, this year I ranked in over 18,000 visits to my website. That might not seem like much, but that’s a 3x growth over last year and I want to thank all of my readers for being a part of it! I think I’ve really started to find my voice for Thulin’ Around and have started to make it my own. 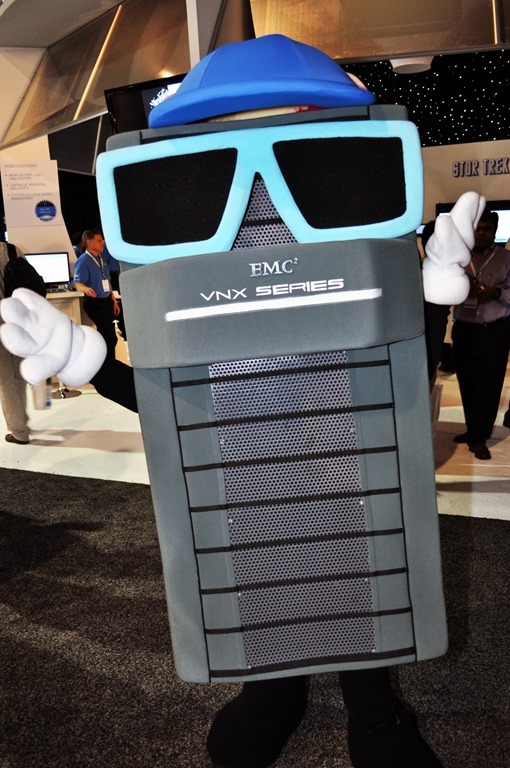 I’ve been leveraging the blog as I can in my role in EMC’s VNX support lab. This would probably explain why my #1 post is still my LDAP post from 2011 (which was revisited in 2012 with a new post for the latest VNX software). 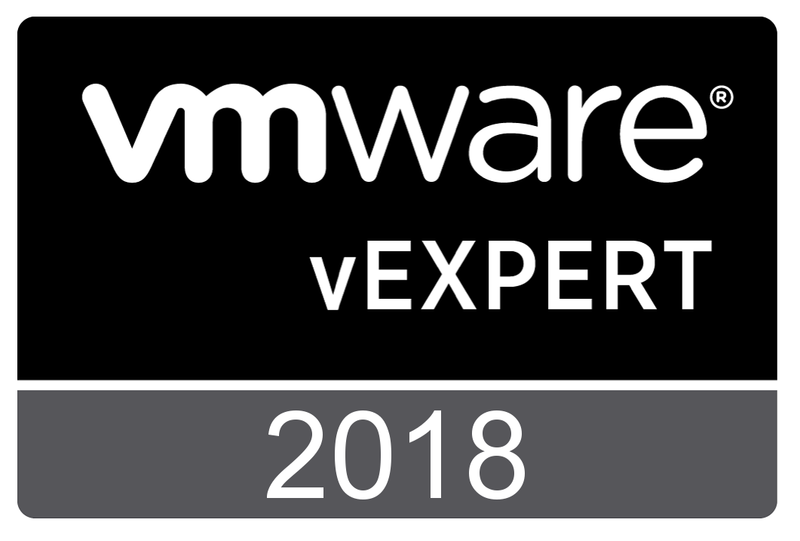 My employer also recognized what I do for the VNX community with my blog and listed me as part of their social media blogging core and I am honored to be in such great company as Chad Sakac and Jeramiah Dooley. Towards the end of the year, EMC launched a brand advocacy rewards program called EMC Elect and I was very happy to be nominated by my readers. Having a great friend like Matthew Brender, I was able to see all that goes in to building out a project of this magnitude and I have a new found respect for the effort that is required behind the scenes. The founding members that were selected are a great group of individuals and I believe they represent the principles and values that should be recognized as part of EMC Elect. 2012 was also a great year for shows and user groups for me. 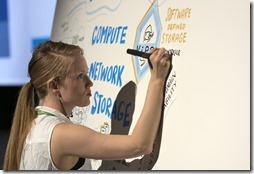 I was able to travel to EMC World 2012 as part of the Ask the Expert program. At these events, I was able to demonstrate another passion of mine, Photography. I published 170 photos from EMC World 2012 and as more events rolled through, I continued to refine my technique and you can see a real difference in my photos from the EMC Forum Boston 2012. So what does 2013 have in store for me? Well I’m starting the year off with a long trip to Seattle, Washington. There I will be assisting the Isilon support team transition over to the EMC Support tools and processes. If you are in the Seattle area, lets meet up! Just check my twitter feed to reach out to me. I also expect to use social media more and more in my job role. Without going into to much detail, I want to say that there is plenty going on behind the scenes to help develop and flesh out a proactive support model as well as a reactive support model. Stay tuned to the @EMCSupport twitter account for more information and feel free to reach out with any questions or concerns about EMC products or your support experience. I’m also looking forward to the results of EMC Elect nominations to see who was selected for 2013. Fingers crossed that I am chosen, but if not, I know that those who will be chosen are well deserving of the title. I also hope to be attending more conferences and user group meetings. I am disappointed that I will miss the NEVMUG Winter Warmer, but there will be plenty more events in 2013 for me to join in on. 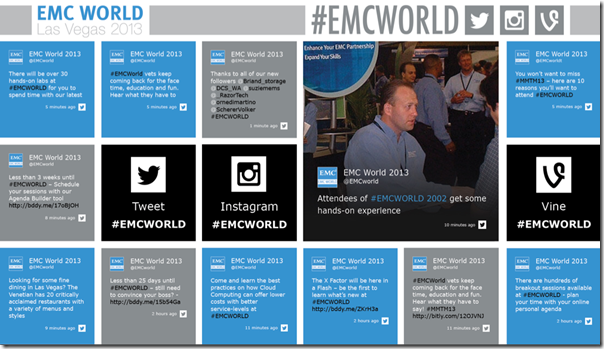 I’ve already started planning some ideas EMC World 2013. As always, I like to hear from my readers and followers. 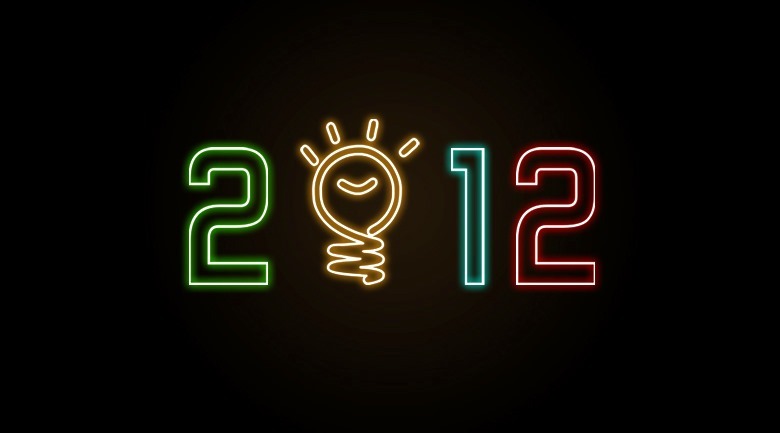 What did you like about 2012? Was there anything on my blog that you really liked / disliked? What are you looking forward to in 2013? Let me know in the comments and have a happy new year!